The story the designer is trying to tell is really quite simple. The longer the bar, the higher the ranking. The problem, though, is that they are order alphabetically which makes ordering them by rank basically impossible. 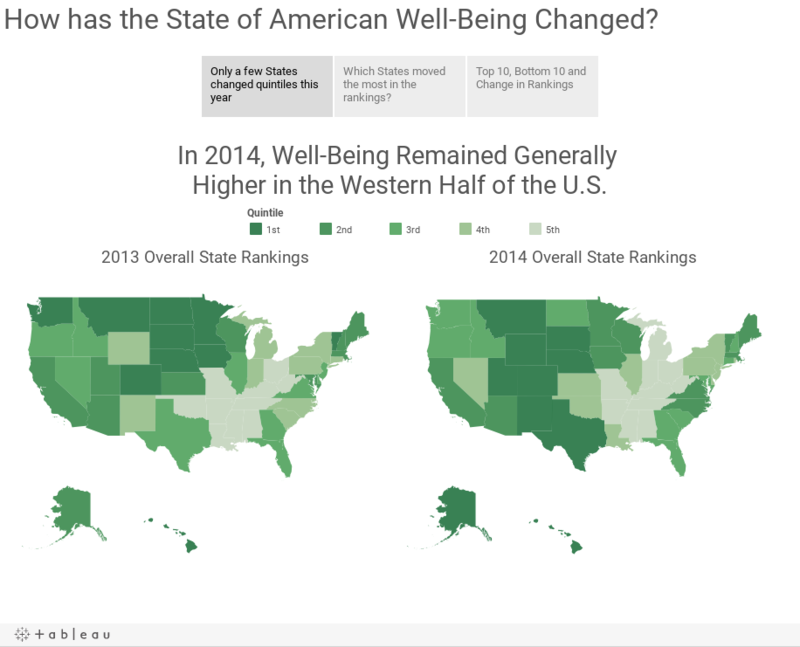 I was able to locate the source of the data on the State of American Well-Being website. From there, I had to download the reports for 2013 and 2014 and then I consolidated them into Excel, which you can download here. 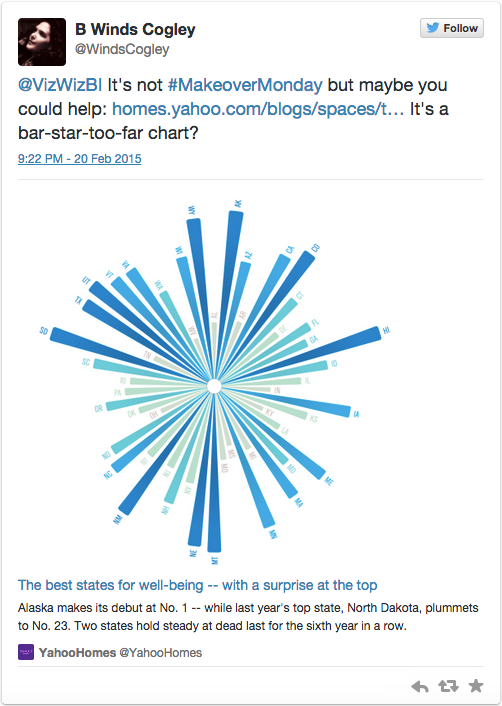 At first, I was thinking a simple bar chart would work, but that turned out really boring because the only data to display is the ranking, not the value that makes up the ranking. I decided instead to create this story in Tableau. Download the workbook used to create this story here (requires Tableau 9).